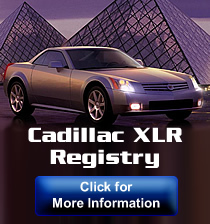 Welcome to the Cadillac XLR Net Forums. Questions, problems or comments about XLR Net? Post them here. For technical and modification discussion of the Cadillac XLR. For general and technical discussion of the Cadillac XLR-V.
Post XLR parts and accessories for sale here. Vendors must gain permission to post in here. 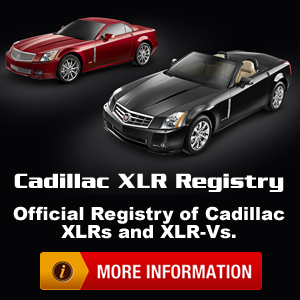 This forum is for questions, help and feedback regarding the XLR-Net's Cadillac XLR / XLR-V Registry. For discussion regarding all models of the Cadillac ATS. For discussion regarding all models of the Cadillac CTS, CTS-V and Vsport. For discussion regarding all models of the Cadillac XTS. For topics related to Cadillac racing and motorsports. Most users ever online was 1,716, 06-21-2018 at 10:24 AM.